(7R/ERS) (Asmara, Eritrea) 1988 - 2000. Photos. Framable Color Prints and Posters. Digital Sharp Images. Aviation Gifts. Slide Shows. 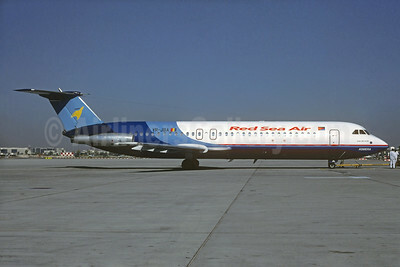 Red Sea Air (Jaro International) BAC 1-11 528FL YR-JBA (msn 234) (basic Jaro colors) DXB (Christian Volpati Collection). Image: 935410.